It sounds like he’s going to be playing a character called Cheese Sandwich, a party planner to rival Pinkie Pie. Or he could just be playing a version of himself as the party entertainment. “Steered” Al YanktheReins, perhaps? I don’t have any investment in the show, but I’m sure his assistance in the songs department can’t hurt. 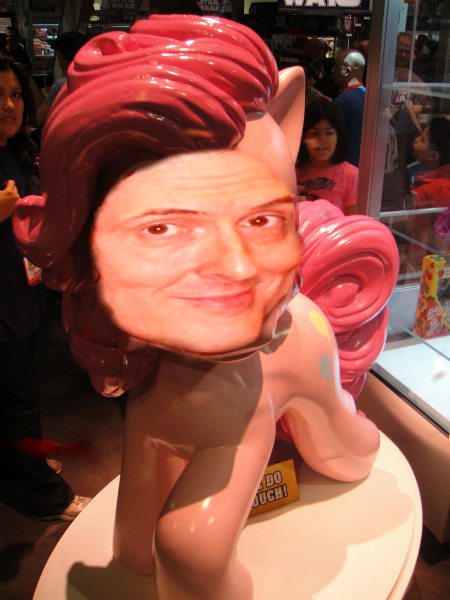 "Friendship Is Magic" "My Little Pony" "Weird Al Yankovic"